This problem presented itself recently while I was doing tactics training on ChessTempo. The three features which jumped out were the semi-exposed king on the g-file, the unprotected knight and the awkwardly placed queen. I quickly dismissed the opportunities presented by the first two features and spent almost ten minutes figuring out how to trap the queen. That wasn’t the solution at all though. If I investigated all forcing moves (Checks, Captures, Threats), I would have investigated e4-e5, threatening the knight and realised that after 1.e5 dxe5 2.fxe5 the knight has no good square to go to. 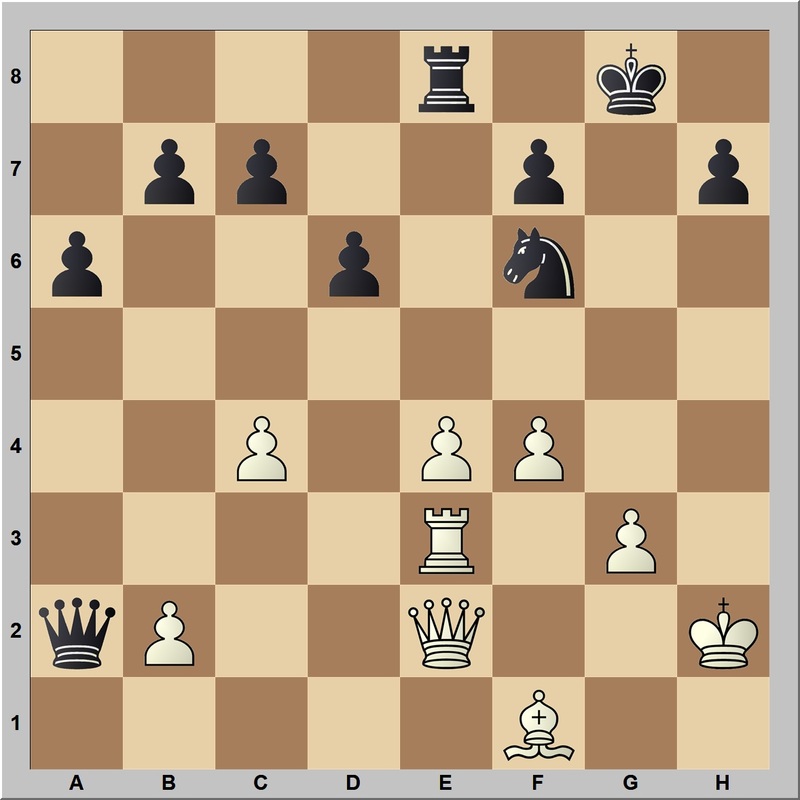 The only seemingly saving move is 2…Nd7, but that fails to 3.Qg4+, a good old double attack costing Black his knight. The lesson: beware Red Herrings. Don’t get caught up in one idea at the cost of others. It is a good habit to investigate your candidate moves one level at a time (what Adriaan de Groot called “progressive deepening”*) and to not discard candidate moves until they prove worthy of rejection.